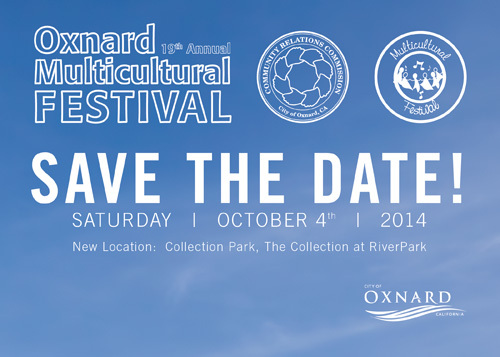 OXNARD, Calif. (September 23, 2014) — The Collection at RiverPark will host the 19th annual Multicultural Festival on Saturday, Oct. 4 from 10 a.m.- 6 p.m. in Collection Park. The festival features live music and performers, food and vendor booths, exhibitors, demonstrations, arts & crafts and plenty of family-friendly activities. The bands scheduled to perform include the GK4 Band, Memo & Friends, Mestizo, and In Stone. The Multicultural Festival is presented each year by the City of Oxnard’s Community Relations Commission. The festival celebrates the rich cultural diversity of its residents and the city’s history. People of every culture come together to learn and discover their shared values in an atmosphere that honors all.